Celebrations around Diwali, the Hindu festival of lights, often involve candles and fireworks, as well as an increased amount of cooking and entertaining in the home. We want you to enjoy your celebrations and not become a fire statistic. By following a few simple safety tips you can cut your risk of having a fire and keep you and your loved ones safe. You can also download some useful leaflets below. Most important of all – make sure you buy a smoke detector, fit one on every storey of your home and check it weekly. 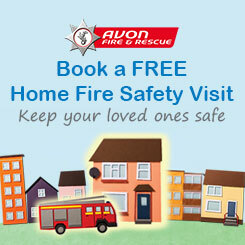 We offer Free Home Fire Safety checks. These provide you with free advice on all aspects of fire safety in the home, during the visit a smoke alarm will be fitted if required. Never leave cooking unattended on the hob or in the grill – over half of all house fires in our area start in the kitchen, many of which could have been avoided. Keep candles away from curtains and flammable fabrics and furniture, and out of the reach of children or pets. Always use a suitable container – tealights and nightlights in foil containers will melt and should be placed in an appropriate holder. Scented candles should always be put in a glass or metal holder, as they turn to liquid to release the fragrance. Keep clothes and hair away from naked flames – if there is a chance that you will have to lean across a candle, move it to somewhere safer. Always extinguish candles before going to bed, and whenever you need to move them. Outdoor candles should never be used indoors. And finally, a word about fireworks: Only ever buy British Standard marked fireworks (they should have the number BS7 114 on the box); once your firework is lit, don’t return to it; and make sure children are fully supervised and wearing gloves when playing with sparklers. Take a look at our Firework safety area for more information.